We offer prompt, responsive service. Since Peter Lutz installed the first Underground Storage Tank (UST) in New Jersey in 1919, The Lutz Family has been the trusted source for Underground Storage Tank Installation & Removal, Certification, Maintenance and Regulatory Compliance. Our professional team of certified UST contractors and licensed site remediation professionals (LSRPs) can handle every aspect of your UST needs. As the industry and environmental regulations continue to evolve, we have expanded our capabilities to become one of the best and most innovative companies in our field with offices in New Jersey and South Florida. For more information on the services we provide, visit our services overview. Since reporting of Underground Storage Tank (UST) programs began in 1988, there have been over half a million confirmed releases reported, with cleanups initiated in 96% of instances, and 91% of cleanups completed as of March 2018. According to 2018 data, the state of New Jersey has 131,999 active tanks and 61,197 closed tanks. Among these tanks, there have been 17,659 confirmed releases with 15,169 cleanups initiated. Only 12,227 of these cleanups have been completed, and 54,232 cleanups remain to be completed. In 2018 alone, 452 confirmed releases were reported in the Garden State, and 215 cleanups completed. Owners and operators of underground storage tanks (USTs) are subject to numerous requirements regarding registration of their tanks; leak detection; spill, overfill and corrosion protection; site checks and corrective action; installation and closure of tanks; testing and inspection of equipment; and more. Herbert Lutz & Company has long been a leader in the underground storage tank industry. Our professional team of certified UST installers and licensed site remediation professionals (LSRPs) can handle every aspect of your UST needs, including installation, certification, site testing and remediation. The Lutz family name has been well-known and respected in the industry for over 90 years. Today, Herbert Lutz & Company is equipped to handle virtually every issue that will confront a UST owner from installation and removal to maintenance, repair and site remediation. 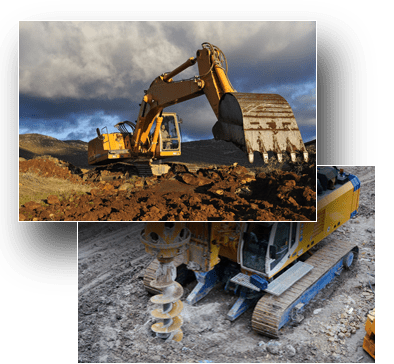 We assist a variety of clients, including government entities, engineering firms, environmental consultants, company purchasing agents, and owner developers. We save our clients money by using the latest technologies and equipment to complete even the most difficult jobs as efficiently and economically as possible. Our company is fully licensed and insured, and we use our own team of skilled, certified professionals to ensure that all our work is performed to a high standard of quality. For more information on our staff, please see the about us page. Please check out our new blog that focuses on the latest trends in New Jersey Department of Environmental Protection (NJDEP) enforcement of its Underground Storage Tank (UST) regulations. that you didn't know were there? Ignoring a problem with an underground storage tank won’t make it go away; it will only make it worse. You know this. We can help. Start by filling out the quick contact form. A representative from our offices will get in touch with you regarding a quote for services. We’ll give you all the information you need to make an informed decision about how to proceed and resolve your underground storage tank issue. © 2018 - 2019 Herbert Lutz & Co. All rights reserved.